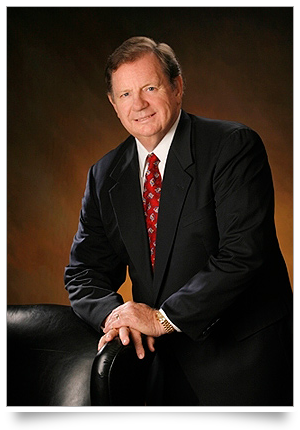 Bob Stripling is Federal Certified and a Florida Supreme Court Certified Circuit­-Civil Mediator and qualified arbitrator. He is a Certified Mediator in the United States District Court of the Middle District of Florida and qualified to mediate in the U.S. District Court of the Northern District of Florida. He is also a Charter Member of the Florida Bar Alternative Dispute Resolution Section, the National Academy of Distinguished Neutrals and the Florida Circuit-Civil Mediator Society. 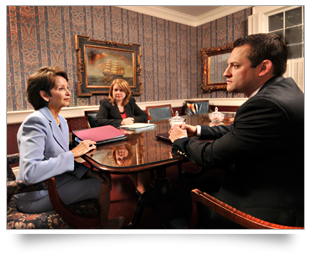 Bob maintains the highest peer review rating for legal ability and integrity as established by the Martindale Hubbell Law Directory, and is Board Certified in Civil Trial Law by the Florida Bar, and by the National Board of Trial Advocacy. While in the active practice of law, he specialized in personal injury and wrongful death cases, including motor vehicle accidents, product liability and medical malpractice. He has handled many complex personal injury and wrongful death cases, as well as construction and commercial cases in courts throughout the State of Florida. Bob is a native of Gainesville, Florida, and earned his law degree from the University of Florida College of Law and his bachelor's degree from Florida State University. He received his early training as a law clerk for United States District Judge Charles R. Scott in Jacksonville, Florida, before entering the private practice of trial law. He is admitted to practice before all courts in the State of Florida, and the Federal District Court, United States Court of Appeals, and United States Supreme Court. He is a member of the American Board of Trial Advocates and American Inns of Court, and served three terms on The Florida Bar Board of Governors. Bob Stripling has litigated hundreds of jury and non-jury cases throughout the State of Florida, and is experienced in the areas of personal injury and wrongful death, general tort law, medical malpractice, product liability and construction and commercial litigation. This experience has prepared him to analyze the factual issues in your case, with a keen insight into the strengths and weaknesses of the case, and an ability to help parties find a satisfactory resolution of the dispute.